Google provides many benefits to those who have an account. The easiest way to have access is to set up a Gmail (or Google Mail) account. If you’re wondering how to create a Gmail account, this helpful guide can get you set up with a new e-mail quickly and efficiently, so you can get to using your new email account in a matter of minutes. Setting up your own Gmail account simple and free to do, and we’ll walk you through each step of the process. Don’t worry about a thing. You won’t need a credit card or any other proof that you exist to set up your account. Soon you’ll enjoy the benefits of online storage, have a gmail.com email account, and much more. 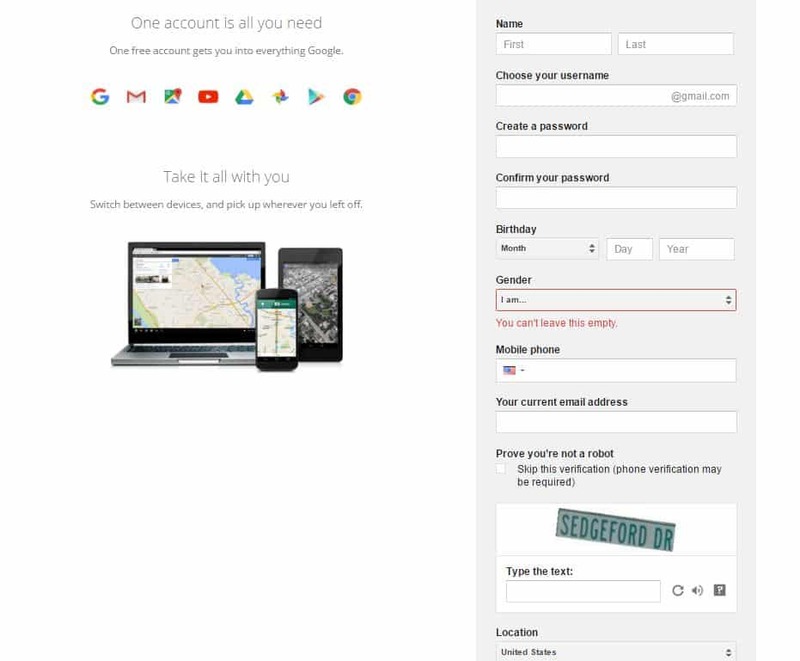 This guide on how to create a Gmail account is quick, easy, and it is perfect for beginners. A Gmail account can be a real asset, helping you with your online communications and storage needs. Just about the only thing you need is a computer and access to the Internet. You can use a tablet or smartphone, too, and if you don’t have Internet access, head down to your local café, fast food restaurant, or your local library, so you can use Wi-Fi. Most browsers will look the same when you’re setting up a Gmail account, but for those that are different, the basic gist of the process is all right here. Step 1: Open your browser. What’s a browser? Internet Explorer, Firefox, Chrome, Safari, Edge, etc. Whichever one you have to access the Internet (going to websites, for example) will be fine. 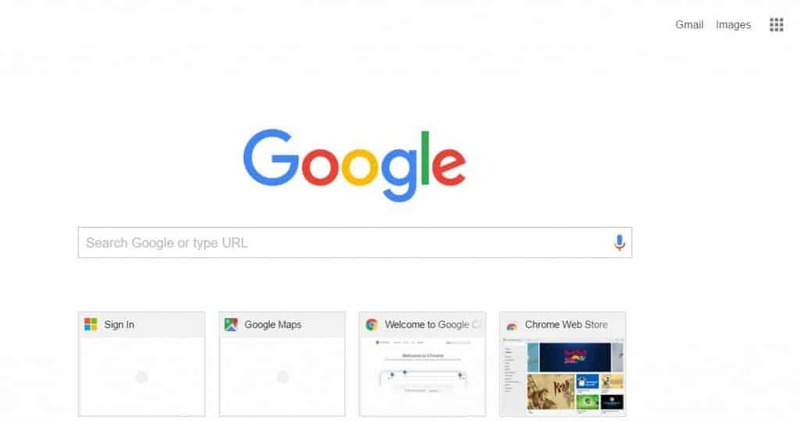 Open it and get to Google’s main search page. You can enter http://www.google.com. Step 2: Click on Gmail. Step 3: You’ll be taken to the Sign In page. When the browser finishes redirecting, you’ll be at the Gmail (or Google) sign in page. This is where you can sign into Gmail if you already have an account. You can see there are a couple of buttons (rectangular boxes) that state: Create an Account. Click on either one of these. Step 4: Enter your information. Google asks for your first and last name, a preferred username (with the exchange @gmail.com) your birthday, gender, current email address, mobile phone number, and proof that you’re not a robot. Be honest about your name, but you can choose ‘other’ if you don’t want to specify your gender. If you don’t wish to add a mobile phone, it can be difficult to recover a lost password. It is recommended to add a mobile phone number, so you can recover your account in the event you forget your password. It is better to be safe than sorry because you don’t want to end up being unable to access your Gmail account. Also, make sure the password you create for your account is strong, but something you’ll remember. In fact, write it down and keep it in a safe place. You don’t want to face the hassle of trying to recover a lost password, but that can be done if necessary. The username you want may be taken and if that’s the case, Google will suggest alternates, or you can try something else. Finally, proving that you’re not a robot is easy. You simply enter the text shown up the box that states: Type the text:. If you can’t see it or read it, hit the reverse circle and get a new one. If you skip the verification, you may need to verify by a legitimate phone number before you can have your Gmail account. That’s all there is to it. Now that you know how to create a Gmail account, you can get signed up in about 60 seconds. Once you click ‘Next’ your account is set up. Now you’re ready to begin sending and receiving email through your new Gmail account. Your Gmail account can be used to send regular emails and attachments. You can receive and send money from family and friends with Gmail. You can also use Gmail chat to talk with others as an added convenience. Now, how about one more step? Having access to Gmail and other benefits Google offers is great and we’ve put together this simple to follow process. If this helped you set up your own Gmail account, we’d love for you to leave some feedback below. We believe in giving back, even if it’s for a process like setting up a Gmail account. The more you know about computers, technology, and navigating the Internet to get these done, the better off we all are. So how about it? Care to leave some feedback, comment below, or a review? Thank you in advance. Visit our site often for more tips that can help you with your online presence.